The textured modern quiff remains one of the best men’s haircuts of 2019. While the classic quiff looks just as hot and stylish, the modern quiff haircut offers more versatility, allowing guys to style a side part, comb over, messy, or big hair quiff depending on their mood. If you’re curious about trying new textured cuts and styles this year, you’ll definitely want to experiment with the modern quiff hairstyle. Here’s everything you need to know on how to style a quiff. Given the versatile nature of the hairstyle, a quiff can work well with short or long hair. And fortunately, whether you want a long or short quiff, the process to getting the cut is mostly the same. If you ask your barber for a quiff haircut, he’ll know exactly how to cut your hair. The only things you need to decide are how short you want the sides and hair on top. For example, modern quiffs allow for undercuts, fades, and classic tapers on the sides. We highly recommend a high skin fade or undercut for a high-contrast look, but longer hair also looks good. Your next decision dictates how much hair you’ll have to work with on top. This length of hair will determine whether you have a short or long quiff to style and the types of hairstyles you’ll be able to have. Styling a quiff comes down to getting volume with texture. Styling a quiff with short hair is easy, but you likely won’t get the same volume as you would with longer hair. Nevertheless, a short quiff is a trendy yet low-maintenance version of the hairstyle you’ll love. 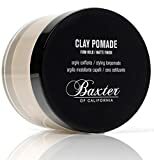 To style a quiff, start by applying pomade, wax, or clay. Be sure to rub the hair product evenly by running your fingers through your hair from front to back. The ultimate goal is to brush your hair back and up for a natural, textured look. 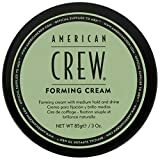 By using pomade with a medium shine or matte finish and applying it while your hair is dry, guys can create a textured quiff. The messy quiff requires essentially the same styling as the textured quiff hairstyle, but without the neatness created by a comb or brush. For the most natural messy quiff, run your hands through your hair in different directions. The comb over and side part quiff is a variation of the classic parted hairstyle. Simply put, instead of combing your hair to the side flat, allow yourself volume and height. Here are some examples of the best modern quiffs in 2019! This is a big hair quiff with short sides and a beard. The picture above illustrates a low skin fade with a line up and messy, textured quiff. The beard is also a nice touch for an edgy haircut. This may be one of the coolest modern quiffs we’ve seen. With a high bald fade on the sides, beard, and awesome textured quiff on top, this haircut and style is what you should ask your stylist for at the barbershop. The best hair products for the quiff hairstyle depend on how you want to style your quiff. For a natural, textured quiff, you’ll want to use a low shine or matte styling product. For guys with a short modern quiff, apply something with a strong hold to keep the hair styled and in place all day. 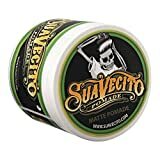 However, if you have a long quiff and want to maximize volume, movement and flow for a very natural finish, you’ll need a medium hold pomade, wax or clay. Here are the best styling products for the quiff from the top brands! 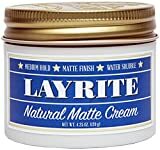 We highly recommend Layrite’s Natural Cream, Baxter of California’s Clay Pomade, Suavecito’s Matte Pomade, and American Crew’s Forming Cream.